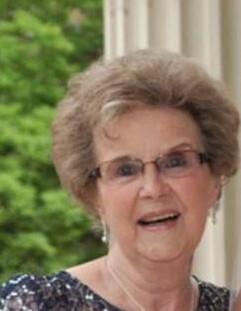 Loretta M. Siffrin passed away peacefully on Friday October 19th, 2018 with her family by her side. She is survived by her loving husband of 58 years, Tom Siffrin, son, Tom (wife Katherine), daughter Kathy (husband Michael) and three grandchildren, Michael (wife Melissa), Chelsea (husband Timothy) and James. She was the office manager for Dr. Howard Woolf of Pasadena for 35 years. Loretta loved to spend time with her family, whether it was attending sporting events, family birthdays, or holidays. She was full of life and a dear friend to everyone she met. For the last 14 years, Loretta and Tom spent countless hours with their neighbors of Magothy Medows. Loretta loved to play Bunco & Mexican Train with the ladies of the neighborhood, go for walks in the evening, and never missed a birthday luncheon with the ladies from the Arnold Senior Center. Her grandchildren always teased her for having more of a social life than they did. Loretta was a kind and caring person, who would do anything for anyone. She would light up a room with her smile wherever she went. Loretta and Tom lived a wonderful life together since their first date when Loretta was only 15 years old. They enjoyed going on vacation and seeing the world together. Above all things, Loretta lived her life to the fullest and loved her family and friends dearly. The family will receive friends at the family-owned and operated MCCULLY-POLYNIAK FUNERAL HOME, P.A., 3204 Mountain Road, (Pasadena) on Friday from 10 AM to 1 PM, at which time Funeral Services will be held. Cremains will be taken home and retained by family, so no burial will take place. Guests are invited to meet for a luncheon at Café Mezzanotte in Severna Park Maryland after the service to celebrate the life of Loretta Siffrin.